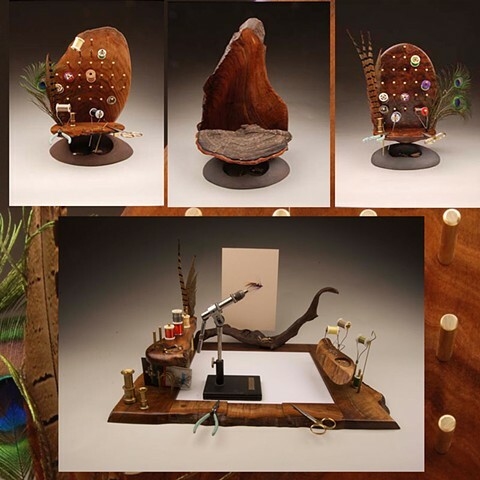 Forest to Fly is a small business that designs and makes unique, highly functional and beautifully crafted tabletop fly tying stations, fly tying benches, and fly tying tool holders. Owned and operated by Jim Koudelka, artist and resident of Portland, Oregon. Forest to Fly strives to bring a quality fly tying tool for the discerning, consummate fly tier.